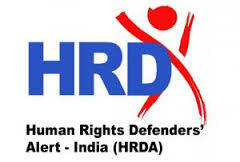 In an unusual move, the Human Rights Defenders Alert India (HRDAI), a national network for the protection and promotion of human rights defenders, has asked the National Human Rights Commission (NHRC) to work out ways to influence Gujarat’s State Human Rights Commission (SHRC) “to publicly acknowledge” the importance and legitimacy of the work of human rights defenders, and create "lasting mechanism" to protect RTI activists from frequent attacks. The move comes close on the heels of the murder of Ratansinh Chaudhary, an RTI activist of Gujarat, on October 17. Chaudhury, who belongs to Banaskantha district in North Gujarat, had sought to expose a systematic racket of embezzlement of public money and swindling of compensation amount meant for flood-affected people of his village. So far, eight RTI activists have been murdered in Gujarat, two this year alone, which is next only to Maharashtra, which has seen the murder of nine RTI activists over the last 10 years. In all, 33 deaths of RTI applicants have been reported in the country. On June 15, activist-journalist, Shailesh Patel of Surendranagar district, Gujarat, was murdered after he sought information under RTI on cases filed against a local bootlegger (click HERE to read). The HRDAI move is likely to embarrass NHRC, as its senior officials have been strongly insisting that the NHRC has “no jurisdiction” over state human rights commissions, and it cannot take up human rights cases with state bodies are processing. Critics say, Gujarat’s SHRC is “extremely weak” in pursuing human rights cases. HRDAI also wanted the NHRC to also tell the SHRC “to convene meetings of all state human rights institutions in the state (women, minorities, right to information, disability, children etc.) to ensure that a coordinated strategy is developed within Gujarat for the protection of the rights of human rights defenders”. Chaudhary, 54, belonged to Garabadi village of Sui Gam taluka of Banaskantha district, and is known to be socially active for the last five years, raising voice against the prevailing corruption and financial embezzlement in the district and village panchayat administration.